Krakow, the former capital of Poland, has no dearth of restaurants or food joints to enjoy cuisines from all around the world. 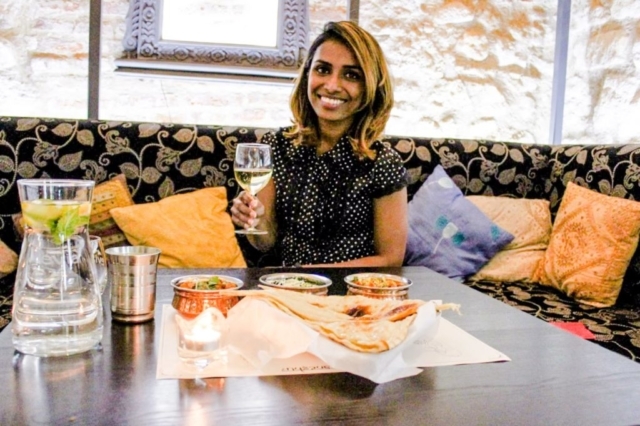 Located right in the heart of Krakow’s Old Town a stone’s throw away from The Florian’s Gate, on Sw. Tomasza (Saint Thomas) street is one of the popular Indian Restaurants – Ganesh! 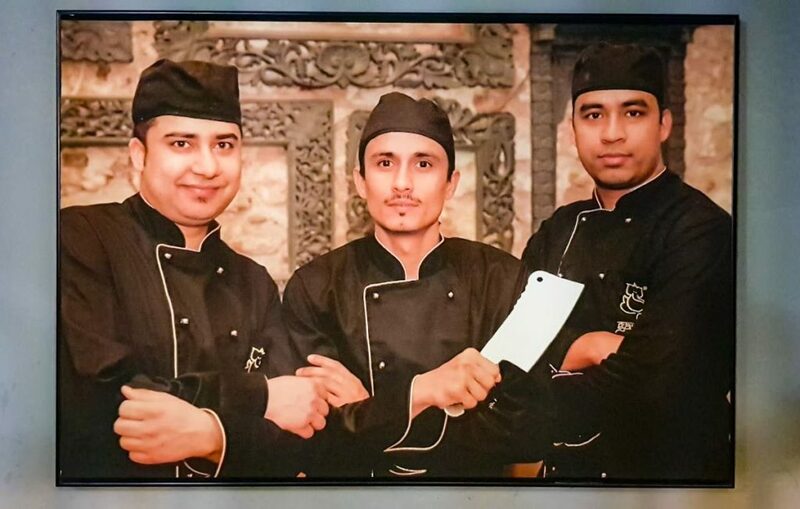 The restaurant opened its doors back in 2013 and has been on the Indian food scene in Krakow, ever since. It also has its branches in the countries capital Warsaw and another one in the city of Lodz. The restaurant is located in The Molenda Town House which dates back to the 14th Century. It was renovated between 2007 and 2012 and converted into the restaurant here today. 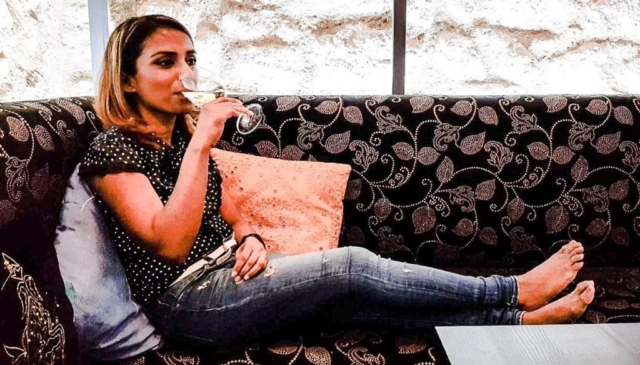 The bar area is the biggest room and it also has a medieval cellar chamber with a brick vault from the 17th Century, a 16th Century limestone portal, and a former entrance from Florianska street. Later this place was used as a smokehouse and during the last two hundred years as a coal storage area. This is where the old entrance to the cellars from the backyard once was. On the medieval brick from one of the vaults above you can see the finger marks that were left on the surface by the hands that built it! 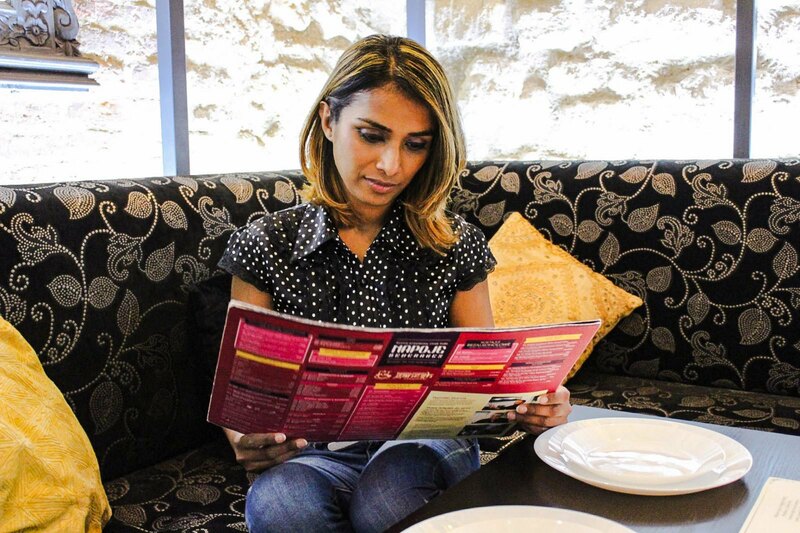 I would like to say that stepping into the restaurant is like stepping into a different world. Krakow has many restaurants, bars, disco’s in and around the old town square, and most of these almost has the similar looks of brick wall interiors which give its guests the feeling that you are actually stepping back in time. The interior designers at Ganesh, however, have managed to keep intact the integrity of the old world charm and just subtly incorporated Indian elements into the decor. The ambience is very nice and calming, it’s not so dark that you cannot see anything and in my opinion, the rustic feel of the exposed walls of the chambers, is quite pleasing. Lovely brass photo frames hang from of bare walls, illuminated by soft white lights. In spite of being in an underground “cellar”, it does not feel claustrophobic or too tiny space. 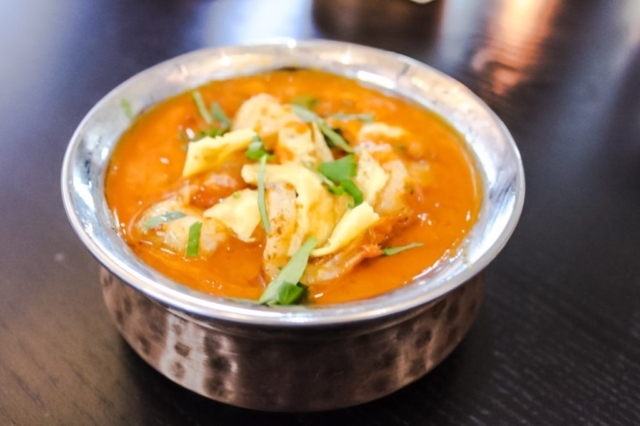 One does not feel bombarded with an assortment of jarring colours, as one would usually come to expect from an Indian restaurant outside of India. Having grown up in an Indian household and spent many years in India, I tend to visit the Indian restaurants only occasionally. If I crave something from my mother’s recipe, I prepare it and I enjoy cooking. I am originally from a small coastal town of Mangalore, and Goa is our close neighbour to the North. Our cuisine is very different from that of places in India. 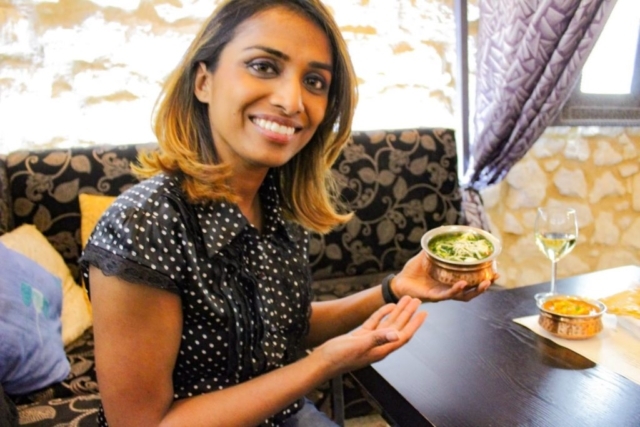 So if I crave a North Indian Roti or Naan with some Chicken Tandoor or a Palak Paneer, then I have plenty of options and places in Krakow to choose from and I go with my non-Indian friends to share and enjoy the experience. The staple dish of many Indians depending on which part of the country you are from is either Rice (if you are from the South) or Roti/Naan(if you are from the North). In Ganesh, you get the best of both. Since I do not own a Tandoor oven at home I always make it a point to order some sort of Indian bread, and there are plenty of options to choose from. Butter Naan, Plain Naan, Garlic Naan, Parantha (plain or stuffed) and my favourite usually the Tandoori Roti. I love these bread served hot and straight out of the tandoor. 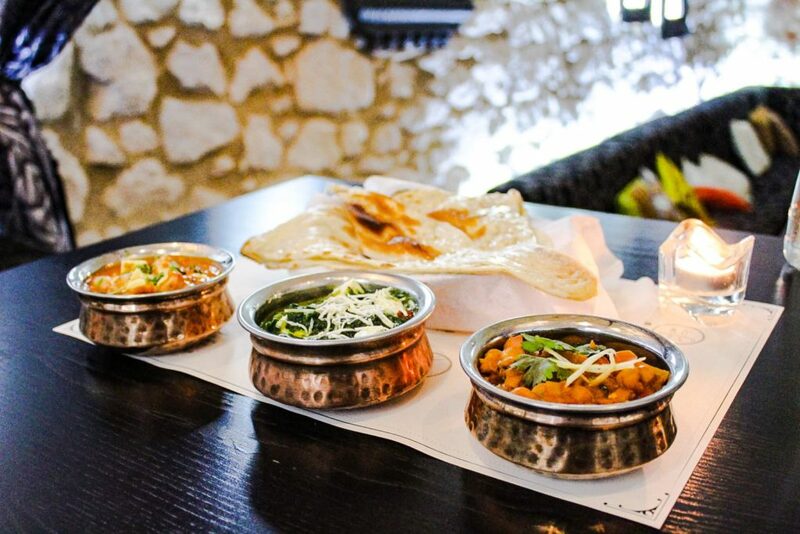 Indian bread is never eaten alone, except for maybe sometimes as in the case of the Parantha as it can be stuffed with vegetables or some meat and served usually with a yoghurt dip. 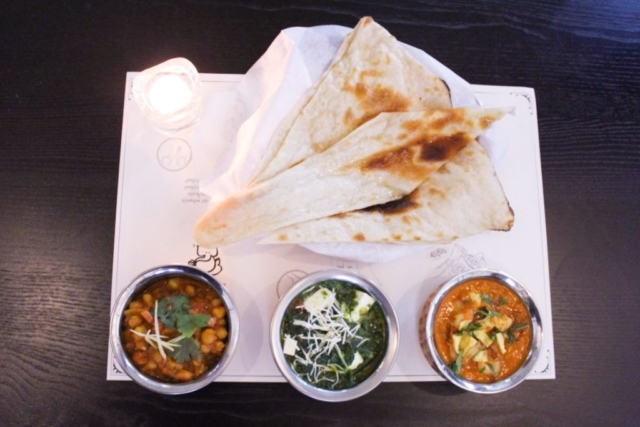 I ordered the Chana Masala, Palak Paneer and the Prawn Masala to try them all out. None of the dishes was spicy as per my liking, but it was good. 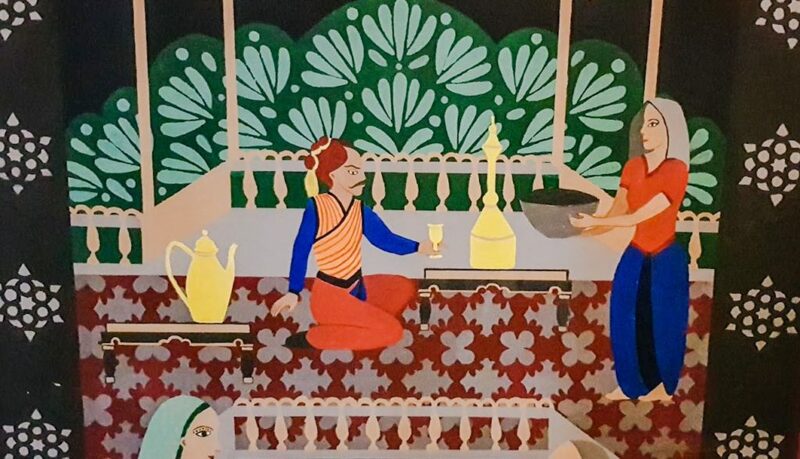 How to eat like an Indian? A point to note here and what I liked was that at each table, there is a sort of printed guide on how to eat Indian food with your hands. I can tell you first hand(no pun intended), it is a special experience to eat your meals with your hands and it is an art at the same time. You must use the roti/bread to pick up your sauce like a spoon and I have seen cases where people usually do not know what to do with them or even try to use a fork and knife on the Indian bread, which is a big NO NO! One must simply tear off a piece of the Indian bread and use it as a scooper to scoop out some sauce onto it and place it in your mouth, without getting the sauce all over your clothes. Simple right! 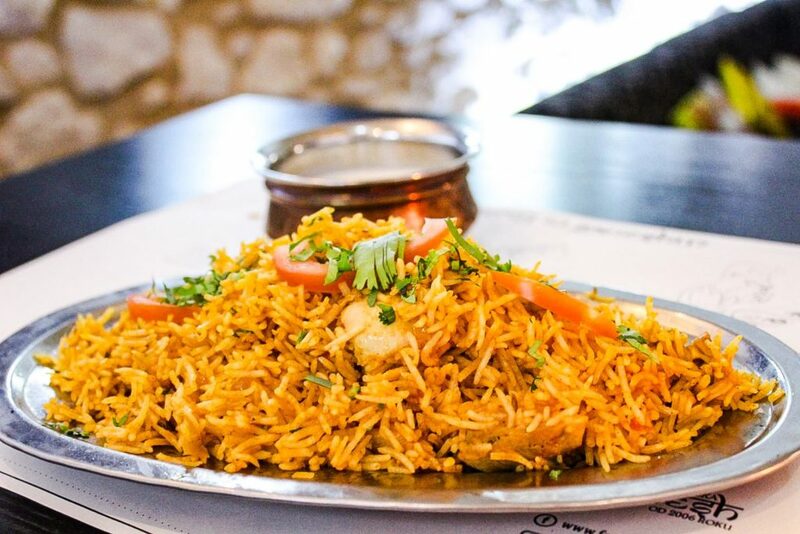 Next up we ordered the Chicken Biriyani, a classic and popular Indian dish, even back home in India. 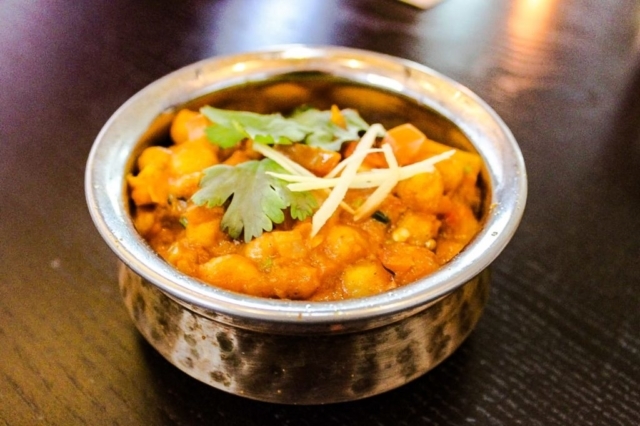 There are many variations of this dish and can be made either vegetarian or non-vegetarian. The popular ones back home in India are either the chicken or the one with lamb. Biriyani is always accompanied by Raita, a yoghurt based side dip or relish as you may call it. It gives more flavour to the dish when eaten together. 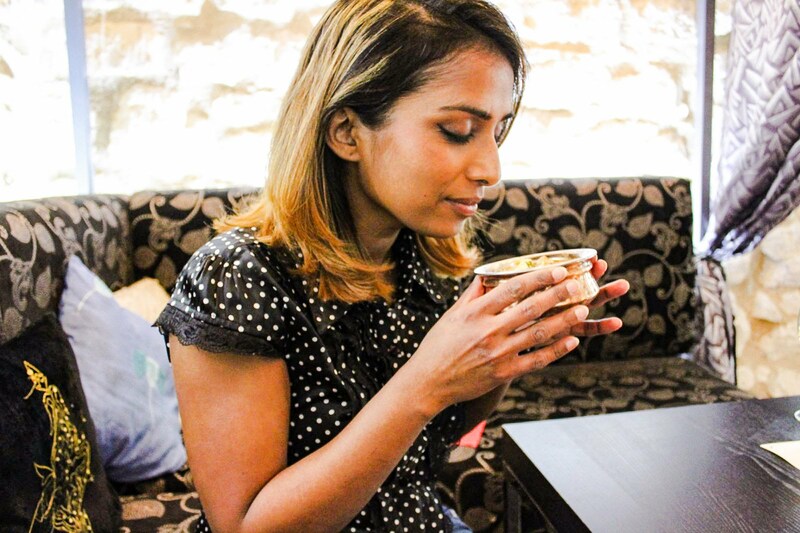 Indian and most Asians, usually eat with our hands, so the ideal way to enjoy your Biriyani is to take a bit of sauce and bit of yoghurt and mix it together(just bit sizes portions) and enjoy the mix of flavours in your mouth. 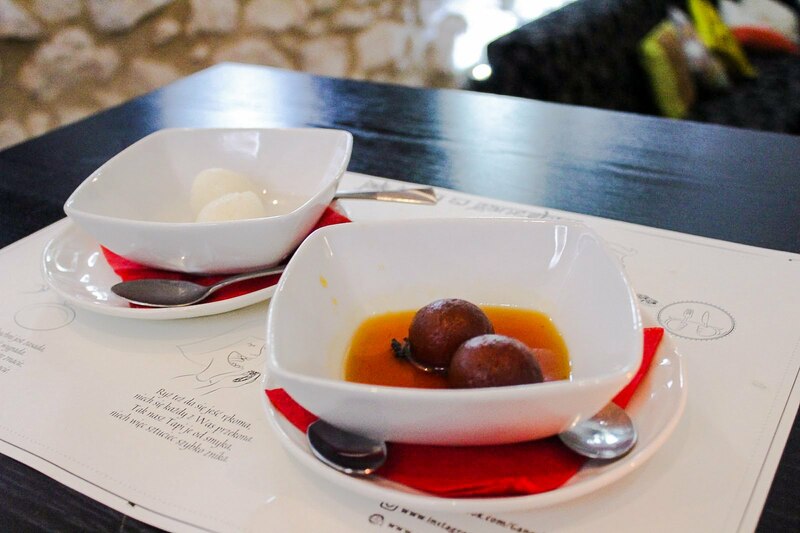 For dessert, we kept it simple and just ordered the Gulab Jamun and the Rasgulla. 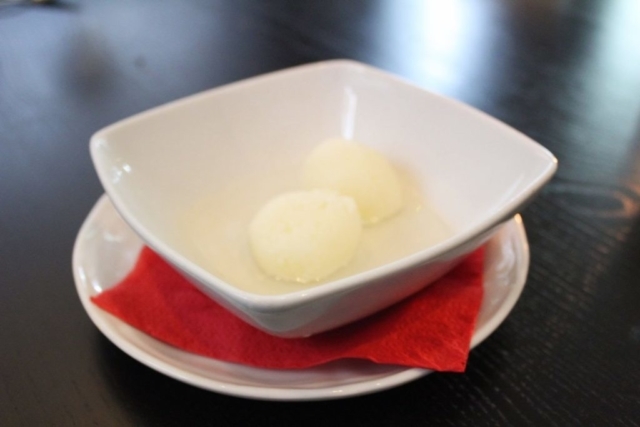 Two milk based sweet dishes in sugar syrup. For me, it was a very long time since I had either of these and was glad that it tasted just when I had them back home in India. 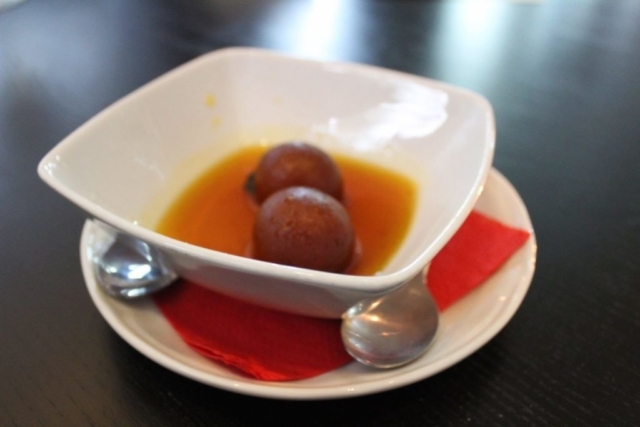 Gulab Jamun is ideally served hot or warm either alone or with a scoop of Vanilla Ice-cream while the Rasgulla is served cold. The chef’s working at the restaurant are from different parts of India and are familiar with the knowledge of preparing most of the milk-based products like the Paneer (Indian Cottage Cheese) which are freshly made at the restaurant itself! 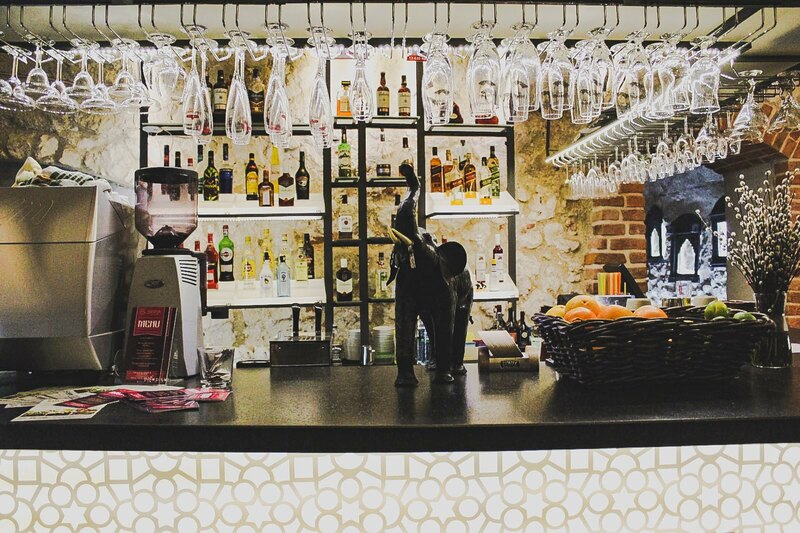 The bar is right at the entrance and makes for a great meeting spot, even if you are not there for the cuisine. They are well stocked with different alcohol including some Indian Whiskeys and Bourbons. Also available is my favorite Indian beer Kingfisher, which by the way is very popular all over India. 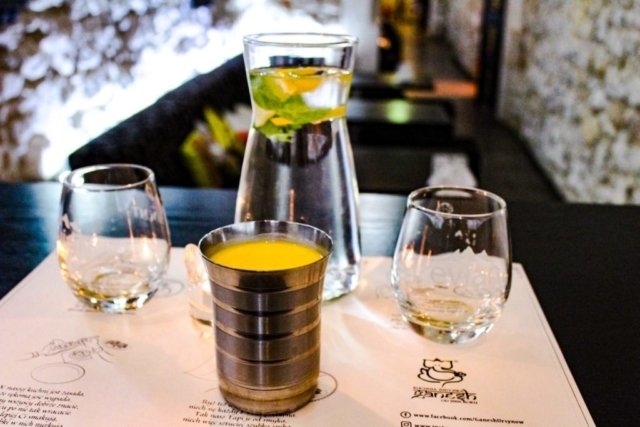 I had a glass of white wine to accompany my food and later a nice chilled Mango Lassi. The restaurant also offers a lunch menu which is usually a set menu of a couple of different sauces, some roti or rice, and some sweets. 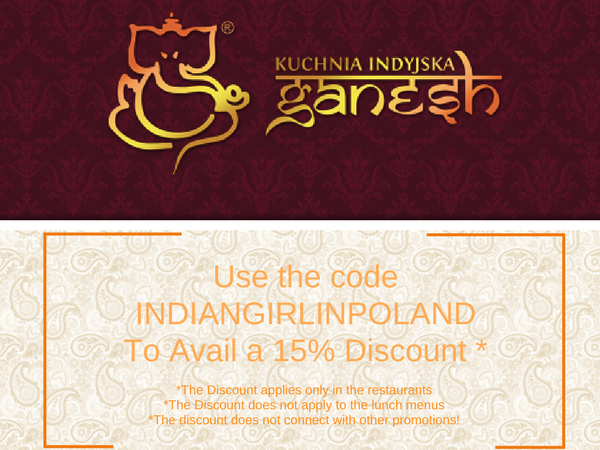 If you have been wanting to visit the restaurants, but were hesitant, here is your chance to try out the food at a discount! I had a great overall experience and enjoyed the food. A personal note is to always remember, this is not India, so naturally, sometimes the flavors and levels of spice are adjusted to European tastes and may slightly vary from the original flavors of the traditional cuisines. However, this does not change the overall high rating and my recommendation for this place. Smacznego! All terms and conditions of service in the restaurant are solely at the discretion of the restaurant. Really nice post, I learn a lot of stuff, even if I already been to this restaurant ( I find it really good). I been to Krakow many years ago but didnt get to explore so much as I was there for few days only. 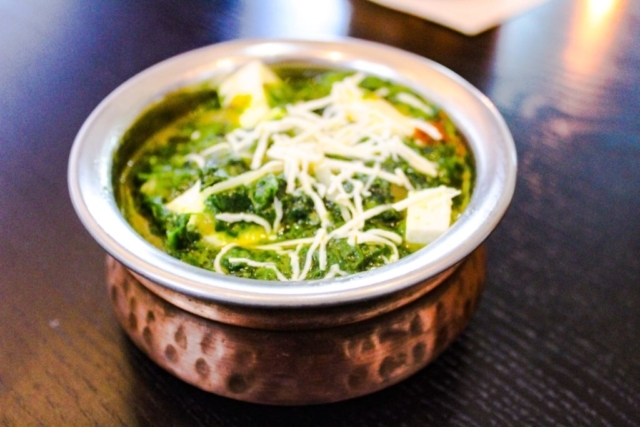 I am sure you are pretty happy to have discovered an Indian Restaurants in the city. Yes, I learn about God Ganesh when I was travelling to India. I saw most palaces or forts in India has Lord Ganesh at the doorway. 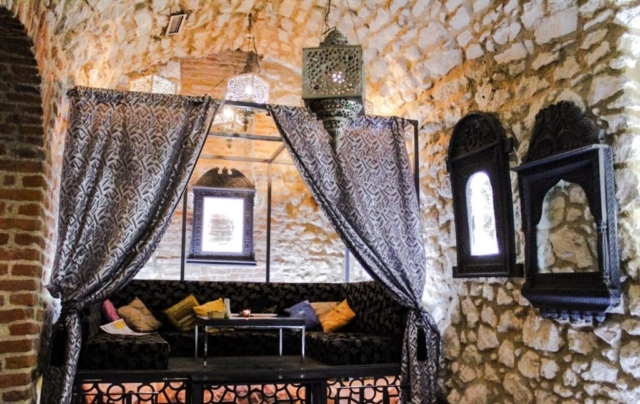 The restaurant Ganesh look stunning, I love how the decoration and medieval bricks inside the restaurant. Your youtube show a good visual guide for the food that you have, looks so yummy and you look super great on the screen! Krakow the old town it seems like I have heard this. I am very interested in doing as the locals do so I am very impressed with the signs that tell you how to eat with your hands and as for the bread I’m afraid I would wear my sauce. I’d like to try the deserts Gulab Jamun with vanilla ice cream and the Rasgulla. This was a great review to read. I love the decor and how the restaurant gives that old-time feel. I must admit reading about the different types of naan made my tummy rumble a bit. Thanks for sharing this info and I hope to add Poland to my list of countries visited soon! This was such a great and informative post to read. Krakow seems like a wonderful place to visit and explore with some really great food. I really enjoyed seeing the culinary finds through your photography. India have so many hidden spots and gems to visit and check out. I hope to visit and explore there someday with my family. Hello Angela, indeed India has many hidden gems, most of which I have yet to explore, even though I live in Krakow now and discovering gems over here. That is really cool that the restaurant is in an old building. The food looks delicious as well. Yes Luci, much old building in Krakow, but this one has a well-lit interior. I’d love to visit! Looks like there is a lot to explore and some yummy food to be eaten! I love how the brick and stone is exposed. So lovely! And the food looks delicious, too. I adore ethnic foods. Yum! a melange of indian exotica and typical east european a inrchitechture in the photographs. beautiful and indeed serene. I can tell by the pictures that aroma was just as delightful as the plating of the dishes. It looks incredible! Thanks so much for sharing.